Funding Solutions is the brainchild of two highly experienced business professionals. Ian Hepworth is a career banker well practiced in delivering cash flow funding to both SME’s and quoted companies from high street banks and specialist independent lenders alike. He specialises in delivering cash flow finance and asset finance solutions. Mark Endersby is an ACA Chartered Accountant who qualified with Arthur Andersen and practiced as a company doctor before turning his hand to more entrepreneurial activities. As Finance Director of several SME’s he has personal experience as a user of all forms of business finance including cash flow funding, asset finance and commercial property finance. Having faced at first hand the frustrations of raising business finance for these SME’s he is ideally placed to understand the frustrations faced by others. At first sight this banker / entrepreneur combination may seem something of a “chalk and cheese” partnership. However, their unique combined insights into the frustrations faced by SME owners and managers when seeking funding gives the ideal platform for independent and impartial advice and informed decision making. There is however a passion that the founders share – a passion to help businesses of all sizes survive and thrive. Working together that is exactly what they can deliver. 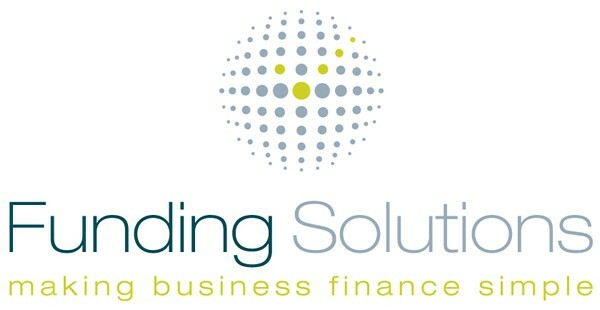 Funding Solutions was founded in 2006 on the back of a real desire to help businesses. We were of the opinion that the business advice available in the market was either sales focused or inadequate. This meant that people were offering advice with a view to selling in a particular product from a particular company or the advice did not fully understand the business finance market and what was actually available. From our very inception we aimed to provide fully independent and impartial advice about asset backed business finance. This meant that we were advising businesses about how to best borrow money against their assets. We have no tie to any particular lender and no preference for what type of finance product a business uses. We simply offer advice about what options are available in the business finance market. Our advice will include what options are available, how they might assist your business, what they will cost and what operation requirements exist. We aim to let you make an informed decision and fully understand that one of your choices is to do nothing. On that basis there is no ‘hard sell’ approach. We believe that only you as the business owner or director can decide what is best for your business. We have many years of experience in the business finance industry but importantly we also have experience within businesses just like yours. We understand what happens in the real world and we take a very hands on approach. We can empathise with you and understand your concerns and frustrations. If you would like to talk about your business finance options for your business please call 0845 251 4040 or fill out our online contact form.